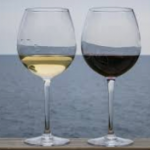 Coming Up on Write for Wine - Write for Wine: It's Wine O'Clock Somewhere!Write for Wine: It's Wine O'Clock Somewhere! We just got back from an amazing trip to Australia and New Zealand, where we were fortunate to have had some excellent wine experiences. Six stellar wineries from those two beautiful countries hosted us: Henschke, Soul Growers and Rockford in Australia’s Barossa Valley, and Villa Maria, Greywacke and Saint Clair Estate in Marlborough, New Zealand. The people we met at all six places were informative, creative, knowledgeable, friendly and passionate about what they do. We will soon be writing individual posts about all our experiences at these six wineries. But first there are a couple of major local events to talk about – Taste Washington and the Chateau Ste. Michelle 2019 Summer Concert Series. We hope you come back often to read about all these great stories, coming up on Write for Wine. This entry was posted in Wine by Margot. Bookmark the permalink.